New York Fashion Week has arrived, and many of the top shows are taking place over the weekend, which happens to coincide with our favorite mealtime — brunch. Because we love both fashion and brunch, we’ve rounded up our favorite brunch spots near four of this season’s main show venues. Whether you’re an editor running from show to show or a fashion fanatic who wants a chance to spot your favorite street-style star or this season’s “It Girls,” you’re going to want to book your reservation at some of the below restaurants ASAP. La Sirena is a five minute walk from Milk Studios, but that’s definitely not the only reason you should stop by this buzzy Italian restaurant. The interior of the restaurant is Instagram gold, and so are all of the delicious brunch dishes. Speaking of, the amaretti mascarpone pancakes, eggs in purgatory, and smoked salmon carpaccio were a few of our favorites. Last NYFW, La Sirena hosted several happy hour events for show attendees, so, depending on when you go, you might get to see some of your favorite fashion editors or street-style stars. Read our full review of our La Sirena brunch experience here. La Sirena serves brunch on Saturday and Sunday from 7 a.m. to 3:30 p.m. 88 9th Ave.
As far as brunch spots near Milk Studios go, it doesn’t get any closer than Sarabeth’s, which started as a bakery and has since grown to include several locations throughout NYC and beyond. Egg lovers will have no shortage of options here, as Sarabeth’s brunch menu features a slew of omelettes and egg sandwiches. There are also several cereal and oatmeal options, in addition to some sweet menu items, like French toast and waffles. 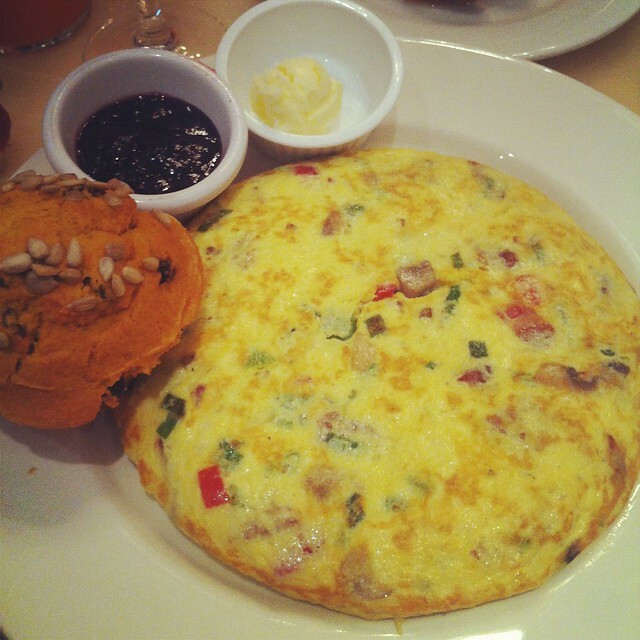 Read our review of brunch at Sarabeth’s (the Upper East Side location) here. Sarabeth’s serves brunch Saturday and Sunday from 8 a.m. to 4 p.m. 1295 Madison Ave.
April Bloomfield’s The Spotted Pig is an iconic NYC gastropub that also happens to be a quick three minute walk to Industria. The Spotted Pig is full of charm and serves extraordinary English fare like chicken liver toast, a dutch baby, and smoked haddock chowder. The restaurant also serves a great burger, pancakes, and French toast if you’re in the mood for a more traditional brunch dish. Whatever you do, don’t forget to try the shoestring fries. Read our review of The Spotted Pig’s brunch here. 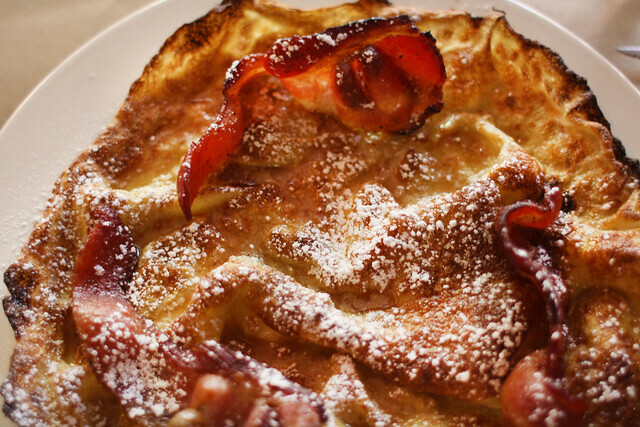 The Spotted Pig serves breakfast on Saturday and Sunday from 11 a.m. to 3 p.m. 314 W 11th St. When you’re dressed in your NYFW best, sometimes dining at anything less than an upscale hot spot feels like a waste of an outfit. Fortunately, you won’t feel that way during brunch at Untitled, a contemporary American restaurant on the first floor of The Whitney. The portions sizes are a bit small here, so this is a great choice if you’re looking for a lite meal. Some of our favorite menu items include the lettuce wraps, fried oysters, and cauliflower. If you’re looking for a sweet treat, definitely order the doughnuts, which change flavors seasonally, or the sticky toffee cake. 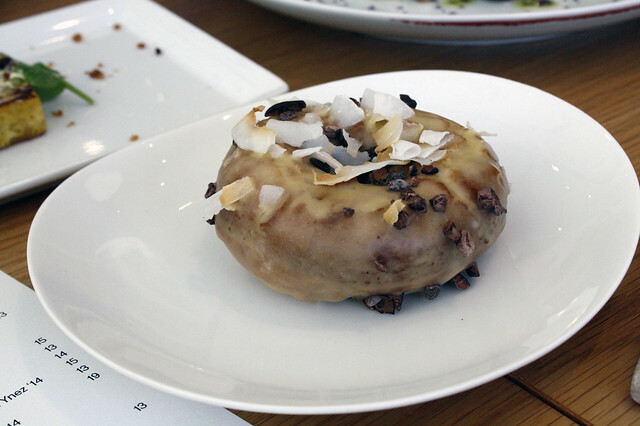 Read our review of brunch at Untitled by The Whitney here. 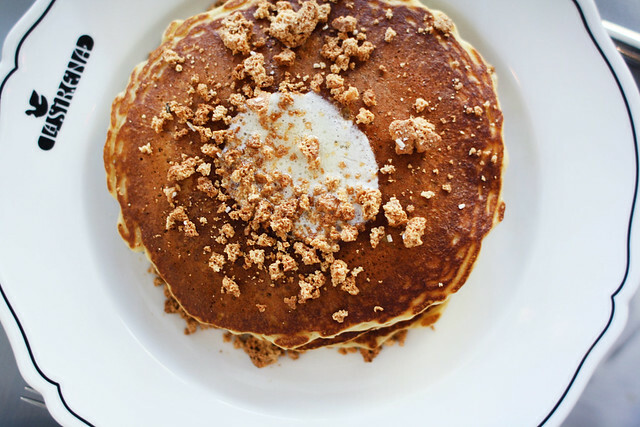 Untitled serves brunch on Saturday and Sunday from 11 a.m. to 2:30 p.m. 99 Gansevoort St.
Hudson Clearwater is a charming — and highly Instagrammable — West Village eatery with an impressive brunch menu that’ll please even the pickiest of eaters. Main dishes range from cornflake-crusted French toast and a veggie burger to huevos rancheros and duck hash. The starters and pastries are just as diverse and delicious, and you can’t leave without trying one of the fancy cocktails — we recommend the Elderflower Spritz — or the cold-pressed juices. 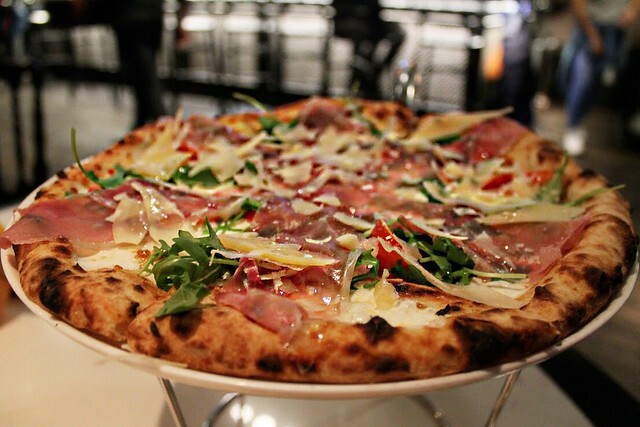 Hudson Clearwater serves brunch on Saturday and Sunday from 9 a.m. to 3 p.m. 447 Hudson St.
Running around from show to show is a lot of hard work, and one of Adoro Lei’s almost 20 different pizzas is a great way to reward yourself for staying on schedule. In addition to mouth-watering pizzas, Adoro Lei’s brunch menu also features a slew of other dishes — we loved the breakfast sandwich and the truffle cauliflower — and a wide selection of cocktails. There’s also a live DJ and a private party room, complete with an Adoro Lei-branded backdrop and rack of fun clothing you can try on and take pictures with your brunch group, so you can keep the NYFW party going even when you aren’t at an official event. Read our review of brunch at Adoro Lei here. Adoro Lei serves brunch on Saturdays from 12-4 p.m. 287 Hudson St.
City Winery is a great place to stop in during happy hour for a glass or two of wine, but it’s also a solid brunch option on the weekend. The menu features classic brunch items like waffles and French toast, as well as several sandwiches and flatbreads, sweet treats, and starters. The barrel room, where brunch is served, is warm, inviting, and a great place to recharge during a busy day of runway shows and presentations. City Winery serves brunch on Sunday from 11:30 a.m. to 3 p.m 155 Varick St. If you’re looking for additional places to brunch this NYFW, check out our Brunch Finder for recommendations based on your location, price range, day of the week, and more.